Panyembrama dance in bali, panyembrama dance is commonly used as a reception. The word Panyembrama itself means 'welcome'. Panyembrama dance is performed by female dancers in a group. Designed so good lyrics eyes, smile, joy from every girl that performed this dance so that the hand with the music or the beat of gamelan, foots, hands, supple softness of fingertips, movement and body sway hip makes added value of friendliness compared with another Balinese dance in terms of reception. In addition to being used a welcoming dance, dance is often performed in Hindu religious ceremonies at temples as a complementary offering of dance before the rejang dance or trance dance. Gamelan that are used in this dance is going kebyar and in stages using a custom clothing. 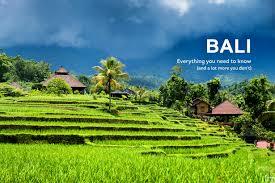 So many tours in Bali to visit. Vast sea with its beaches, the uniqueness of the temple building, the indigenous culture of strong, talented artists to create art that's incredible value. 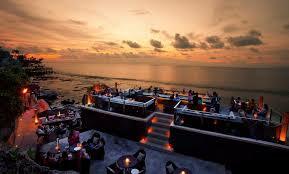 It's what makes this Dewata island never deserted will tourists be it domestic and foreign tourists. The word Panyembrama means welcome, where it is encapsulated in this dance that depicts the friendliness and respect. Flakes-flakes of cotton sown before the guests are expression of welcome. This dance was created early seventies by the artist I Nyoman Kaler (RIP). 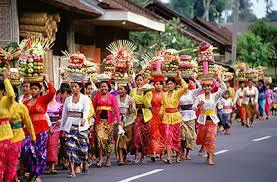 Who does not know the rich Balinese culture and art. The island has a population of this already famous friendly to foreign countries because of the indigenous culture, art and the most prominent is the island's natural beauty coupled with a complete tourist facilities make the tourists enjoy tours of Bali. Speaking of art in Bali, it is definitely there are many kinds of art, there is a sculpture, carving, and the most interesting and beautiful is the art of dance. The art of Balinese dance very much and one is Panyembrama dance.